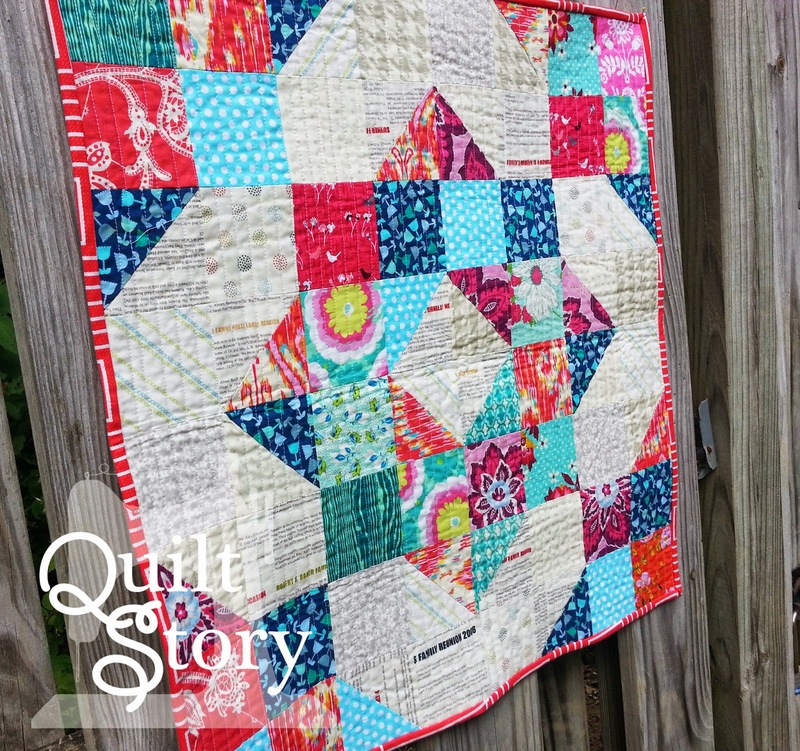 Quilt Story: My finished mini!! From her form and instagram feed (@quiltinginthecold) I realized we had a pretty similar style. 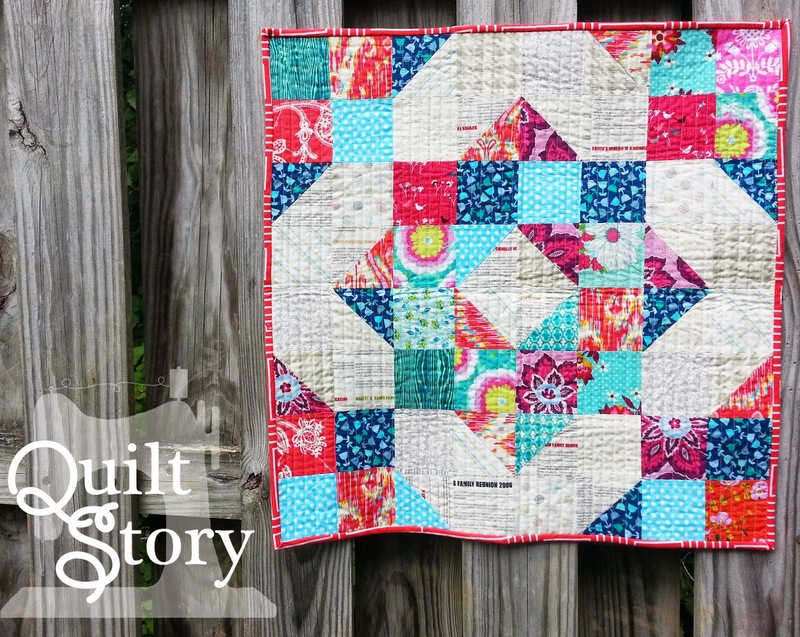 She likes traditional piecing with some modern twists and fun bright fabrics. It was nice because if I was liking it I thought I was pretty safe that she would too! It's 24" square. Everyone also needed to create a tag for their mini and make sure to include some of the following info. I just used a fine sharpie, turned under the edges and handstitched it on. AND the other fun part of the swap is including goodies!! My partner lives in the Netherlands so I was told that Peanut Butter cups were a must! 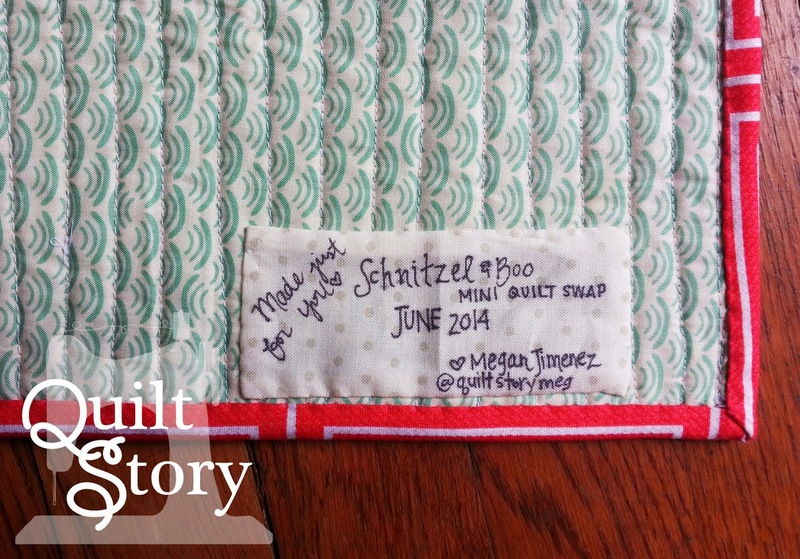 I also made little coin purses and included some of her favorite fabrics. It was such a fun swap!!! I received mine yesterday and I am sooo in love!!! I have one more mini to post, I'll share the one I received AND Heather made one too. And you may as well check it out on our Instagram feeds now anyway :) And if you aren't on Instagram just do it!!!! Get ready for some mini goodness!! Love that! Such a cute mini who wouldn't love it! That is incredibly cute and pretty. I'm sure it will be well loved. And those gifts! What a lucky duck she is. That coin purse is so cute. Oh so nice...and the add-ons are great! That is really pretty...i adore mini's! I love this! A pattern or tips on how to make it would be great! Great job. 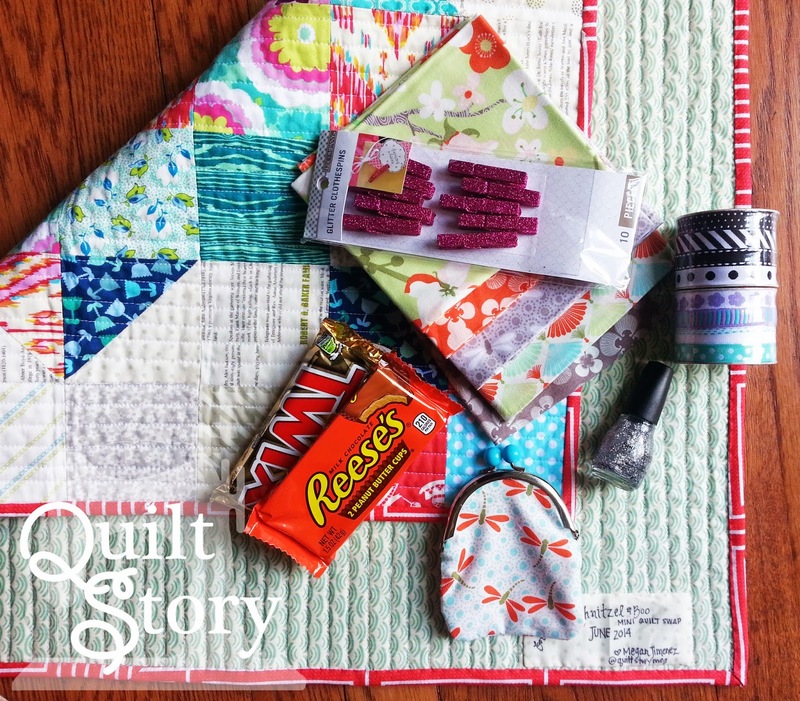 Your partner hit the quit swap jackpot with you Megan! She must have been thrilled! 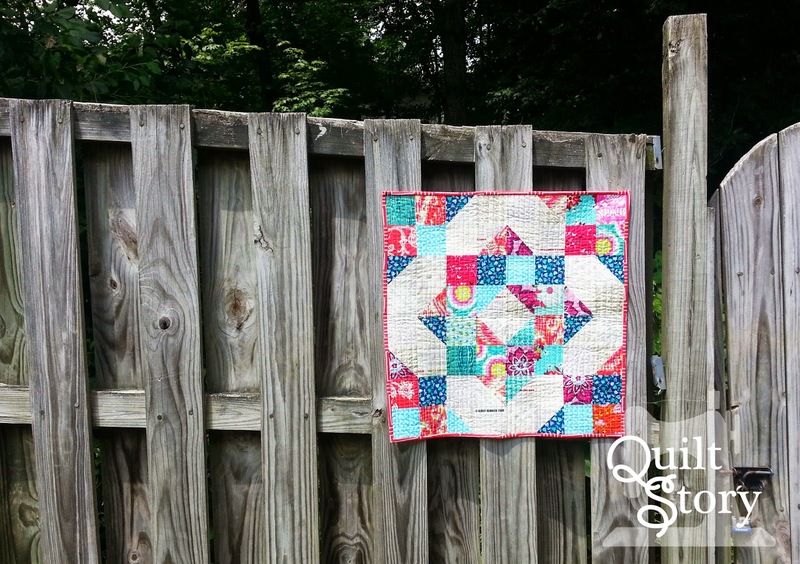 The pattern and fabrics you used are great! How in the world do you find so many wonderful "white" fabrics? I have a difficult time finding such interesting low volume prints.